Senate Breezes Through Light Agenda in First Post-Spring Break Meeting | The Gettysburgian. Student Senate returned from Spring Break refreshed and with a light agenda for Monday’s meeting. Amendments to the Senate Constitution regarding the election process were tabled in accordance with Senate procedure so they can be ratified at next Monday’s meeting. Among the major changes are an adjustment to the composition of Senate (going from seven senators per class to four senators per class plus seven at large senators), addition of Affinity Groups to give clubs voting representation, and the surrender of voting powers by members of the Senate Executive Board. 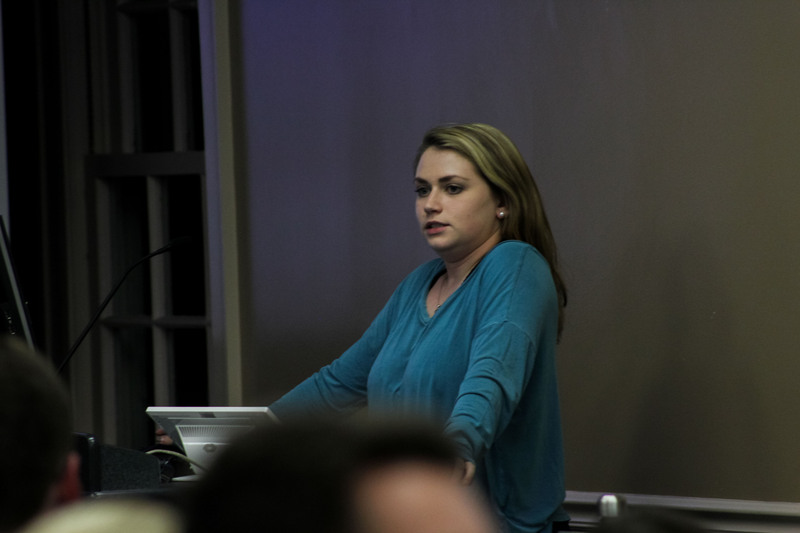 Vice President Aimee Bosman reminded attendees that applications to serve on Senate for next year are due next Thursday, March 29, while Treasurer Sarah Berkowitz announced that there is currently $35,935 left in the New Initiatives Account for this academic year. Senate approved both of Monday’s budget requests with voice votes: Asian Student Alliance ($1,500 – unanimous) and Gettysburg News Network ($424 – not unanimous). Sarah Hinck '21 hails from Wilton, Connecticut and intends to major in either Organization and Management Studies or Political Science. She hopes to be an active member of the Gettysburg College community! Some of her hobbies include reading, playing lacrosse, and listening Broadway's "Hamilton" soundtrack.